Dollard stood against the barricade, one foot on a keg of powder on the evening of the fourth day of the battle. "What are they going to do?" he asked Annahotaha. "We must be patient. There should be a solution to this problem. Even at Sainte Marie, there could have been a solution, and this situation is not as desperate as that was." Annahotaha looked directly at Dollard. "Many did not escape." He paused a long time. "But all those in Sainte Marie itself escaped. The Jesuits burned that place themselves. Ten summers of their work was gone in a few hours. It was a beautiful place. "We knew the Iroquois were wintering nearby with twelve hundred men," said Annahotaha. "The Hurons had more men at that place, but they panicked. They sent two hundred and fifty guards to Montreal with some furs. This was not wise because they went the northern route, away from the Iroquois. A few guards would have been enough. Then they failed to build a strong palisade. We made that mistake here too." Dollard flushed, but Annahotaha did not seem to notice. Annaotaha was not criticizing, merely making a general&apos;s assessment of a battle tactic, but Dollard felt ashamed. He knew he should have repaired the barricade immediately. Had he done that, the Iroquois wouldn&apos;t have seen the French canoes, wouldn&apos;t have had time to construct their own palisade, and things would have been different. "Black Robes named Brebeuf and Lalement died there?" "The Vipers stripped them. Some of them put on the black robes to mock them, but the Black Robes gave no sign of protest. The vipers tore the nails from their fingers and then beat those two on the shoulders, the legs, the loins, the stomach, the head, everywhere. Brebeuf did not complain. He was a strong man. He prayed out loud, and this made the Iroquois angry. When we are tortured, we must endure pain and curse our torturers, but these men prayed for the torturers. It was as if the pain did not distract them from their thoughts. It made the Iroquois furious. "Brebeuf told us to forgive the Iroquois. I do not understand that. Then one man -- I am ashamed to say he was a Huron that the Iroquois adopted--this man came forward insulting Brebeuf. He was not only a Huron, but he was also a Christian. He had been baptized by Brebeuf himself and he, to show his new brothers that he believed no more, began to taunt the prisoner. This man was a coward. He was Huron, he was Iroquois, he was Christian, he was not. He was nothing. Not a real person. "They became angrier still and made him suffer more torments. They made a collar of red-hot hatchets and put it on the priest&apos;s neck. No matter what you do, you suffer. If you lean forward the hatchets on your back lie flat and burn you; if you lean backward, the ones on the front do the same; if you remain erect, you are tortured on both sides. 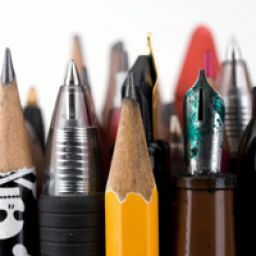 It is good torture," said Annahotaha without emotion. "Then they made a bark belt full of pitch and resin and set fire to it, and it burned his body. "All this time Brebeuf remained without crying out. If he wanted to cry, he said, &apos;Oh, Jesus!&apos; so the Iroquois, though they thought he would break, were disappointed every time. He continued to preach to his attackers, and I cried to see it. He seemed insensible to fire and whipping and cutting. The Iroquois could not believe it. Never have I seen a man endure so much without showing pain. I have seen the same tortures; we use them exactly on Iroquois we catch -- but I have never seen such courage. "It was too much for the Iroquois. To stop him from speaking they cut off his tongue and both his lips. Then they stripped the flesh to the bone from his legs and arms. Then they roasted it and ate it in front of him. "&apos;When they saw he was weakening, the Iroquois made him sit down, and they scalped him. Immediately after, they cut a hole in his chest and pulled out his heart which they roasted and ate, saying it would give them the same strength and courage he possessed. Even though they hated him, they admired his great heart. They ate his heart and drank his blood. I too once did those things. But no more. Now I am a Christian. I do not torture." "But I am not a true Christian. I still kill." Dollard wanted to laugh but dared not. "Your people suffered," said Dollard. Annahotaha sighed. "You do not understand because you are French. My people were disorganized, confused and weakened by the loss of many braves who died of strange sicknesses. When the French first came, we saw clearly that some of your spirits were stronger than ours. You had guns, big ships, axes, porcelain, steel arrowheads. Your tools and some weapons were stronger, so we thought your gods were stronger. "Some of us became Christians, and that caused dissension in our villages. We gave you furs but then the Iroquois began to attack as they do now, to steal our furs because their lands were empty. So we were always on the defensive. If we took much time to fight Iroquois, we would lose our trade. We had no need of this much fighting before you came. "All the while my people were falling ill and dying. When I was born, we had one man for every Viper. At the time of Sainte Marie, we had twelve thousand men, the same number as the Vipers. Now..." he shrugged. "When the people are dying of a mysterious sickness, and the shamans cannot cure it, it is bad. "The Vipers were attacking, our trade was disrupted, people were ill and dying. You have changed our lives completely. "The Black Robes tell us about a soul and would make us Christians, which changes our beliefs. The governor tells us things about France and says we should all be friends with this place across the Big Water, but we do not know this place. "The fur traders tell us they will give us guns and axes, which we need now. All of you are here, all of you are different, but all of you are the same. It is hard to understand. "At Sainte Marie, my people did not seem like Hurons; they seemed lost before the attack. They lost their pride and their name at that place. Many were adopted by the Iroquois. They changed from Huron to Iroquois so easily. They had no resistance. They did not seem to know who they were," said Annahotaha. 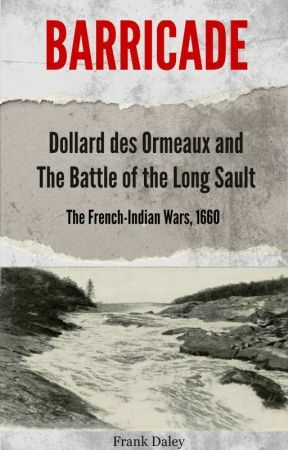 "The Iroquois want every person to be Iroquois, it seems," said Dollard. If you are not Iroquois, you are an enemy." "This is false thinking," said Annahotaha. "We are not Algonkins, but we trade and deal with Algonkins and many other peoples. The Vipers give you a choice: become an adopted Viper or die. It is not a choice. I could not become a Viper. I do not understand it. To live only to eat is not to live. Even the Vipers did not think like this before." "You are a strong man and a good chief," said Dollard. Annahotaha looked at Dollard&apos;s face. "Since Sainte Marie, for ten years, I have done nothing but protect those I live with---my people. I help my friends and kill my enemies. I do nothing else." "Do you have a family? Children?" "A wife and two small ones in the Place of Three Rivers. My original wife and three children were killed near Sainte Marie," said Annahotaha. He said it without emotion as he had related the whole tale. But after he said it he got up quickly and walked away to check the garrison on the far side of the fort. Dollard sat with his head bowed, picking on a twig, looking at his knees and lost in thought for a long time.